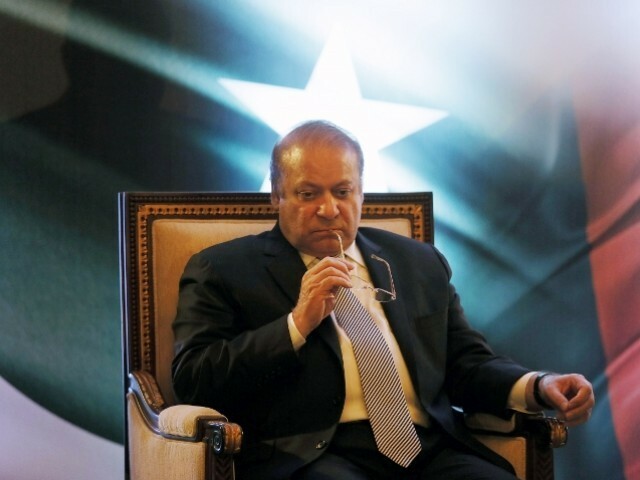 You’re looking at Nawaz Sharif, but do you pay your taxes? It is no secret that Panama, with its strictest financial secrecy rules on the planet, has been a long-time friend to crooks, dictators, corporations and the ridiculously rich. To be fair, not all corporations and rich folk head to idyllic sunny islands for shady activities. Offshore banking in places like the Cayman Islands and Panama is a good draw not only because they offer ways to minimise an entities’ taxable income but also because they boast quality legislation, economic stability and a lack of intrusive regulation. But, the ability of the rich to set up insanely complicated legal loopholes so that they can get even richer rightfully hits a nerve for the majority of us not part of the global elite. That’s why recent disclosures, dubbed by the media as the Panama Papers, clearly linking our prime minister and his family to offshore companies is so infuriating. That our PM is one of 12 world leaders named in the Panama Papers tax haven leak is not surprising. After all, the Sharif family has found itself in the crossfire of tax evasion allegations plenty of times before. The Panama Papers only confirm what pretty much every Pakistani has long known: the prime minister and his family are not exactly clean. On the face of it, being linked to an offshore account or company does not immediately signal illegality. What the average Pakistani is pissed off about is the dubious, unethical way in which Pakistan’s most prominent family chooses to conduct its affairs. Our PM is allegedly a billionaire – twice over. And, if the Panama Papers are to be believed, the PM and his family own some of the most expensive real estate on this planet which include homes right across London’s Hyde Park. But Nawaz Sharif and his families’ questionable and, to put it politely, fairly unethical tactics of dodging taxes are not limited to the Sharif clan. We are a dirt-poor country and are likely to remain so in the reader’s current lifetime because of our 200 million citizens only 0.5 % choose to pay income tax. In fact, the cost of running a local tax office in Pakistan is more expensive than the tax that we wind up collecting. The problem of shady tax avoidance ploys runs in the veins of more than just one elite Pakistani family. Far too many affluent Pakistanis dodge taxes by colluding or bribing tax officials, conjuring up legal loopholes, or turning to offshore destinations. Even our country’s parliament is run over with lawmakers – custodians of our state – who not only skip tax-payments, they don’t possess tax numbers required to file their income taxes. We are going to need a lot more than revelatory Panama Papers to fight against the home-grown crooks defrauding our tax collecting system. The leak will, without a doubt, deal a massive blow to the global offshore banking industry. But the Panama Papers only name a handful of Pakistanis leaving out the millions complicit in domestic tax evasion. The problem is not on some tropical island a thousand miles away. It’s down the street from you and I, and before we attempt to navigate the treacherous waters of international tax avoidance schemes, we need to find a way to stop our own economic self-interests from sinking. Do you file your taxes? Nawaz has been super rich since the 40s. They were billionaires before they entered politics. Pakistanis who are defrauding Pakistan of Tax Revenues are robbing Pakistan of its future. They are the “Enemy Within” because Pakistan will always remain a poor country if it allows people to loot its wealth through Tax evasion and other forms of corruptions. I condemn the Panama Papers investigation as a Western conspiracy and its censors have restricted access to coverage of the leaked documents, which show offshore dealings by the family of Prime Minister Of Pakistan. Sadly, the Western media has taken control of the interpretation each time there has been such a document dump, and Washington has demonstrated particular influence in it. In brief, Panama Papers leak is conspiracy against Prime Minister Nawaz Sharif and his family. Particularly, against the great emerging global leader; Maryam Nawaz. She has obtained an MA and PhD with distinction in Political Science from Cambridge University. She has published extensively on poverty, global economic recession, and economic reforms in under developed countries. During my stay as Adviser to Prime Minister, I have found that Maryam Nawaz is a living institution of Governance. During military regime she gave up freedom and a life with her family in Saudi Arabia to protest military rule in Pakistan. Panama Papers/leaks is blatant conspiracy of WEST and allies in Pakistan against the 200 million people of Pakistan to deprive them from the honest leadership of Maryam Nawaz. Very few knows that Maryamism encompasses the leadership style, political conviction, economic and social policy of Prime Minister of Pakistan. I have identified three types of leadership that exemplify Maryam’s abilities as a leader: trait, transactional, and transformational. Early on in her political career she exemplified the trait leadership style because she has the notion that some were inherently born with leadership traits like her father is. His Excellency, Honorable Prime Minister of Pakistan, Nawaz Sharif fostered her early interest in politics. He saw her as carrying on his tradition. In her early years of leadership, Maryam manifested all of the trait theory leadership characteristics that she saw in her father. She is intelligent being a PhD Scholar of Cambridge University. She is self-confident, determined, lead with integrity and is sociable. While most people would categorize Maryam as a transformational leader, an evaluation of her cognitive style of information processing tells a different story. I have found that a transactional leader awards for good behavior, which in A transactional leader awards for good behavior, which in Maryam case would be being favorable to those that agreed with her, and punishing disagreement or those that opposed her position case would be being favorable to those that agreed with her, and punishing disagreement or those that opposed her position ’s decisions at Prime Minister House are always taken with reference to a few deeply, even passionately, held personal convictions and beliefs against which proposal or individuals are measured: if found wanting, the proposal or individual is discarded without further ado. A transactional leader awards for good behavior, which in A transactional leader awards for good behavior, which in Maryam case would be being favorable to those that agreed with her, and punishing disagreement or those that opposed her position case would be being favorable to those that agreed with her, and punishing disagreement or those that opposed her position. While her leadership style in foreign and domestic policy is predominately transactional, Maryam is without a doubt a transformational leader and I saw her closely and very confident to say, “Transformational leaders like Maryam set examples to be emulated by their followers. Despite the odds against her, Maryam is committed to make changes in Pakistan economy that would last a life time. It is our national duty to kill and condemn all such Western conspiracy against Prime Minister and inspirational leadership of Maryam.